Christmas is a celebration that takes place in countries around the world. However, different destinations and cultures have their own rituals and traditions when it comes to this major celebration. When it comes to Australia, Christmas rolls around toward the start of the summer holidays, which are from the middle of December until the early part of February. Unlike many other parts of the world, Christmas in Australia means warm weather, the thrill of the summer holidays stretching ahead, and the ability to enjoy plenty of outdoor entertainment. • Christmas bush: Australian will head to department stores like Macy’s to purchase a range of decorative items for the home in order to prepare for Christmas, just like people do in other parts of the world. However, one of the unique things that they do is adorn their homes with bunches of Christmas bush. 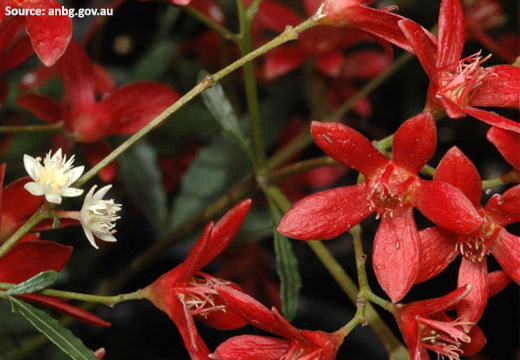 This is a tree that is native to Australia and has little green leaves with the flower that are cream but turn red in the summer, usually by the time Christmas comes around. • Candlelit carols: People in countries around the world love to hear or sing Christmas carols. In Australia, each state capital hosts an event where carols are sung by candlelight – Carols by Candlelight. This provides a great way for Australians and visitors to the country to enjoy really getting into the spirit of the festive season. It’s a wonderful ambience and atmosphere and is a hugely popular event in all of the capital cities. In addition, the carols sometimes have their words changed as many refer to snow and cold weather, which aren’t present in Australia. Also, there are many stars that get involved in singing the carols, including famous Australian stars such as John Farnham. • Santa’s kangaroos: Most people associate Santa with travelling by reindeer. However, in Australia, he travels by kangaroo or ‘six white boomers’ as they are known. In addition, that furry suit and those fur-lined boots are kicked off and changed for more appropriate clothing and footwear when Santa does his rounds in Australia. • Boxing Day at the Beach: When Boxing Day rolls around, many people slip into the beachwear they bought from retailers like Wild Secrets and they head to the beach to have a day of fun in the sun. Many will attend or hold barbeques on the beach and there are even yacht races held in some places. With the weather so warm and with it being summertime, this is a natural way for many Australians to enjoy their Boxing Day. 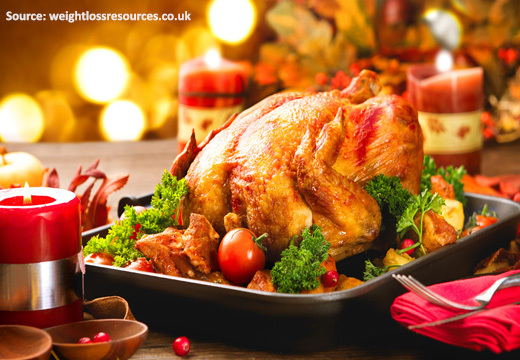 • Non-traditional Christmas dinner: While people in other parts of the world are tucking into turkey and roast potatoes for their festive meal, in Australia many opt for a cold Christmas dinner. Some even decide to do a BBQ for Christmas dinner and enjoy the big day outside with their loved ones as they tuck into a festive BBQ feast. Many fish markets find themselves overrun with people looking to buy fresh fish ready for their Christmas dinner. • Church attendances: Like lots of other people, many Australians head to church on Christmas Eve. When Christmas Day rolls around, many will sit down to a breakfast that consists of ham and eggs. After this, they then go to church again before they start getting prepared for their Christmas dinner or BBQ. • The New Year: When it comes to the New Year, Australians hold dinners, parties, and entertainment like other people across the world. However, on January 6th, which is the 12th Night, they hold a final party to bring the festive season to an official end. So, there we have it. These are some of the traditions and routines that many Australians go through when it comes to celebrating Christmas and New Year. As you can see from the list, many of the routines and traditions are based around the fact that when Christmas comes around in Australia it is the start of the summer season and the weather is hot. They cannot engage in the same types of activities and traditions as most other places such as building snowmen or wrapping up warm to hit the Christmas markets. So, instead, they make the most of having Christmas in the summertime.